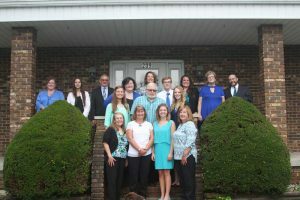 Our goal at DAT Travel is to provide each and every visitor with “above and beyond” customer service as they plan their vacations to Christian destinations across the country. We are an affiliate partner to Christian Treasure Seekers, an online directory of Christian attractions and destinations across the United States. Consumers are able to choose from among hundreds of destinations across the country to plan a family-friendly vacation which will serve to enrich and strengthen their Christian faith. Christian Treasure Seekers is dedicated to finding the best faith-based attractions in America. We personally visit these attractions in order to be able to favorably endorse them on our site as providing an enriching and positive Christian experience for families and faith-centered groups. Once a customer has identified a desirable destination on Christian Treasure Seekers, DAT Travel helps families and groups to plan these life-changing and faith-strengthening travel experiences. We work only with select hotels that have entered into a dedicated partnership with area-wide faith-based attractions and destinations, contingent upon the fact that they have established reputations of providing clean and comfortable accommodations and “over-the-top” customer service to our guests. As a hotel booking agency, DAT Travel helps to complete a visitor’s vacation package by locating and booking high-quality accommodations at preferred hotels close to their chosen destinations. This complimentary booking service ensures that visitors will enjoy the best overall vacation experience. We help to carefully vet the hotels that we recommend to our customers by making surprise visits to the hotels we promote and book for our customers. We also require that the affiliate hotels maintain a Trip Advisor rating of 3 stars or above. We believe that no two travelers and no two trips are exactly alike. Our goal is to provide the best hotel accommodations to ensure an excellent and extraordinary vacation experience. Our team will personalize your vacation by taking time to listen and understand your unique travel style and particular needs. 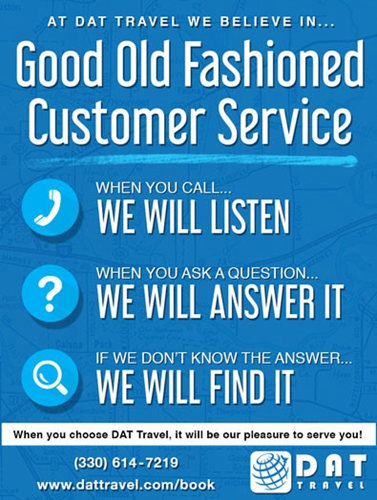 We provide service and support over the phone or a customer may chat on-line with a live DAT Travel agent. A customer may also book their own room on our DAT Travel website, thereby ensuring that they are booking at an excellent hotel at the best price. Our support does not end once a customer’s room is booked. We also provide a emailing to our customers with a detailed summary of their hotel booking information, pertinent information regarding the Christian attraction that they are planning to visit, and also valuable information regarding other family-friendly attractions in the given locale. Let the DAT Travel team help you plan your next family vacation or faith-centered group trip. Let us take the worry out of finding a great hotel at a great price with the best customer service.